China is quickly becoming a cashless society, vending machines that accept mobile payments through advanced identification systems are cropping up by the tens of thousands. In China, vending machines are full-service convenience stores. Before, customer’s demand was simple, they just wanted water, cola. But now they buy all kinds of things, like food, toys, books, cosmetics, electronics, and pet identification tags. What’s notable is the payment method — indicative of the shifting habits of the Chinese, from cash to digital. Paying is seamless: Machines only need to accommodate the two top mobile wallets, Alipay and WeChat Pay according to the report of digitaltrends. “There is no need to take cash, we just use our cell phone,” Larry Song, a sales manager at the Thintop Technology Company, a Shenzhen-based manufacturer of vending machines said. Because there is no dominant mobile payment system in U.S., machines there still need to accommodate cash and credit cards. Ease of payment makes everything easy. According to industry insiders, the unmanned sales market in China has achieved only 10% market penetration, leaving 90% of the sector’s potential untapped. This means there’s ample opportunity for smart vending machines to make a significant impact. 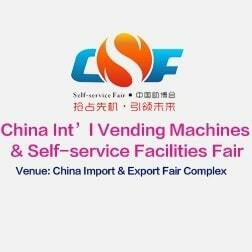 Experts predict that a period of explosive growth in China’s vending industry is just around the corner. In the next few years, 50,000 to 100,000 vending machines will be added annually to Chinese market and the total number of machines deployed in the country will soon reach tens of millions according to the latest statistics from iResearch. You don’t need to be a market analyst to appreciate that the outlook for the vending industry in China is exceptionally exciting! to improve and develop the sector and to discover more profitable product offers. If you want to be a player in this emerging Chinese market, you can’t afford not to attend the show!